Happy Presidents Day!! Spring Preview, new must have designs for those lovely spring occassions! Save up to 40% now thru friday. Just listed, 5 strands of bamboo coral, gorgeous red... a wardrobe must have! Still looking for a Valentines Day Gift? Lots of beautiful designs to show your love! Happy February! 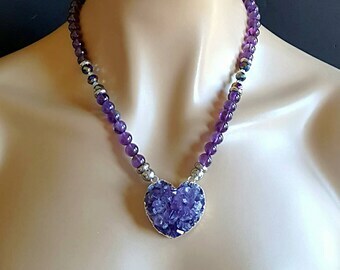 This is the month of love and the birthstone Amethyst. This pendant celebrates both! Just listed! 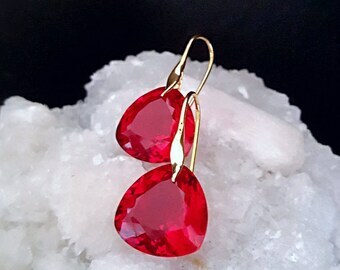 Valentine's Day is approaching...These are the perfect earrings for love and passion! Last Sale of the Year...Free Shipping on orders over $75.00 US ONLY. Ends 12/31. To my wonderful customers, I wish you a very Merry Christmas and a happy New Year! Holiday Sale Ending Soon! Order by Wednesday for 2-3 day USPS Priority And Express Mail 1-2 day. Keep in mind, there are NO guarantees by Christmas, I will ship same day or shortly there after so place your orders as soon as possible. Just listed New! Pink topaz Gemstone Cluster Earrings Pretty in Pink! Ready to ship! Pretty and Festive, stepping out for those holiday parties? These are perfect!! 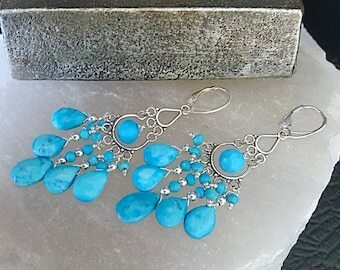 Just one of my newest listings..Save 15% off today..these are just deelish!! Cyber Monday may be over but my shop is having a CYBER WEEK Sale! 20-40% off and free shipping on orders over $75.00. Sleek Modern Contemporary.. Yellow Topaz with Sterling Silver, just listed..Cyber Monday Sale on now through Tuesday. Cyber Monday Sale is on til Tuesday. So many designs to choose from. More listings daily! These are stunning! !...just in time for gift giving...20% off today! Just listed this beautiful gift set..Its 20% off today!! Lovely Larimar is so pretty with peridot...and make a great gift. Stunning prasiolite with citrine...a gift she'll love for years to come. Has matching bracelet sold separately. One and only one. Minty Green Amethyst with Colorful Gemstone earrings make thw perfect gift! Just listed! Watermelon Tourmaline Chandeliers just listed...Boho Chic! Just listed! Emerald Cut Luxurious Aqua Blue Topaz with simple 14k solid gold ear wires. Stunning! Just listed! 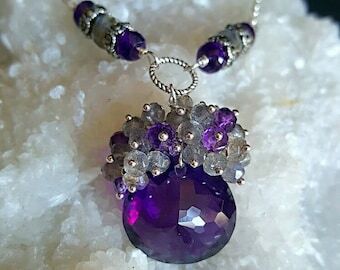 Lavender Quartz presented with Colorful gemstones set in sterling silver...so pretty! So rare, there's only one. 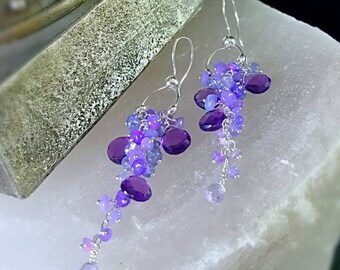 Just one of many gorgeous gemstone earrings just listed that will make the perfect gift!! Fall Sale On Now 20% Off See store for Details. Restrictions Apply. Great Deals Storewide. Save 15%-25%-50% See Shop for Details. New Fall Designs! Holiday Sale Ending Soon! Order by Wednesday for 2-3 day USPS Priority And Express Mail 1-2 day. Keep in mind, there are NO guarantees by Christmas, I will ship same day or shortly there after so place your orders as soon as possible.